Following the recession of 2008, the construction industry took a knock and has taken time to get moving again. However, it’s a decade later and the construction industry has finally got its momentum back and now represents 4.1% of national GDP. According to the Bureau of Labour Statistics, the industry is projected to have an 11% growth rate in the next few years, over double that of the country overall which was projected to be 2% in 2020, by the Federal Open Market Committee. 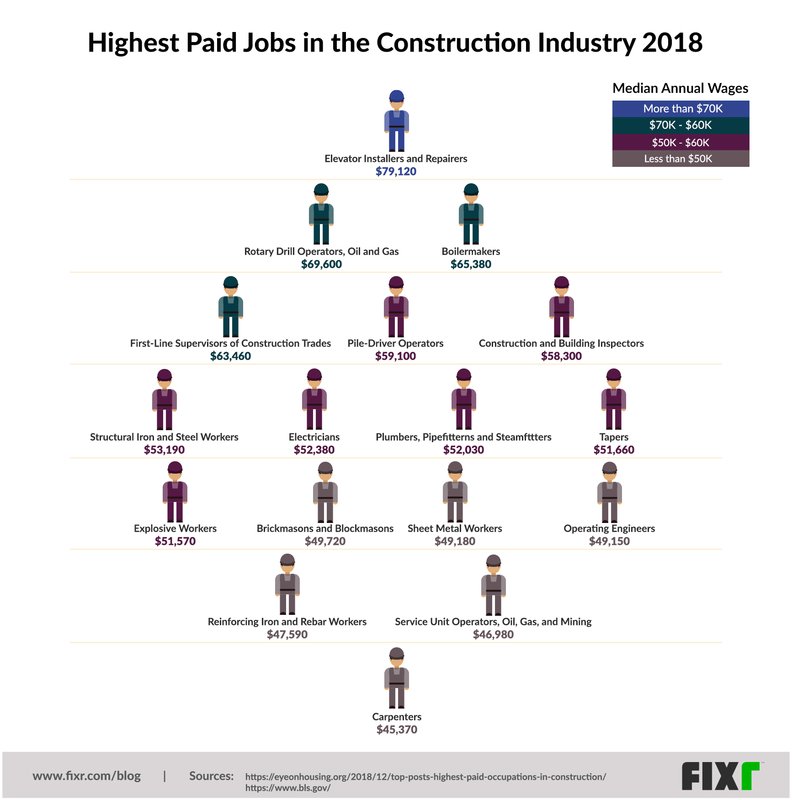 We compiled the above graphic using data from the NAHB on the top 17 paying positions in the construction industry, based on a study by the U.S Bureau of Labor Statistics (BLS). While over 380 occupations fall under construction, according to the BLS, only 54 involve the actual construction trade, the rest are roles including sales, finance admin and other office or off-site related work. While certain areas have predictably slowed, overall, the industry is booming. Potential job seekers could do well to consider training for one of the following positions, all of which offer wages that exceed the U.S. median by at least 20%, according to the NAHB. As you can see, the trades that are more specialized and need a higher qualification through study, and specialized certification to trade, earn higher wages overall. Elevator installers are the only trade that broke the $70K mark, nearly breaking $80K with a median annual wage of $79,120. Following that, rotary drill operators (oil and gas), boilermakers and first-line supervisors in construction all fall between $60K and $70K earning $69,600, $65,380, and 63,360 respectively. The majority of jobs fell between the $50K and $60K mark and included pile-driver operators ($59,100), construction and building inspectors ($58,300), structural iron and steel workers ($53,190), electricians ($52,380), plumbers, pipefitters and steamfitters($52,030), tapers ($51,660), explosive workers (51,570). The final bracket had a range of only $5K and included brick masons and block masons who earn $49,720, sheet metal workers who earn $49,180, operating engineers who earn $49,150, reinforcing iron and rebar workers who earn $47,590, service unit operators (oil, gas and mining) who earn $46,980 and finally carpenters who earn $45,370. The benefit, for job seekers, of positive growth of the sector means the demand for labor in the various trades has increased, yet there aren’t enough new young blue-collar workers entering the sector to quench the demand. Also, the benefits do not only fall to workers entering the industry. This demand and industrywide growth provides opportunities for employees to branch out and begin their own companies, taking on higher positions and sharing their own knowledge with less experienced new employees. The industry covers a range of sectors including residential (housing and facilities used for habitation), industrial (construction used in the various stages of economic activity), institutional and commercial (for institutional and commercial purposes and anything that doesn’t fall within the other categories), civil engineering and roadwork(works for public and private use for civil or general use often state driven). That is to say, the industry stretches into nearly all areas of the economy and offers many options. 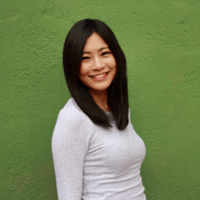 Also as with any industry, as trends evolve, demand for specific roles changes as well. While electricians are still in demand for the installation of electrical components, networks etc., the electrical utility industry will see a slow in construction demand, as the alternative energy sector becomes more powerful. This, of course, means that the demand for jobs especially those specialized in areas of the alternative energy sector will be in higher demand. Members of the construction industry weathered a fairly tough storm in the years following 2008, and now they are reaping the rewards of an industry that is going to be responsible for rebuilding the U.S.A. and defining new sectors such as that of alternative energy. According to the BLS, a whopping 790,000 new jobs will be available in construction by 2023. Though no wealth comes without true hard work — in this industry that means rolling up the sleeves and some elbow grease — however, as you can see there is great potential in construction for the coming years. High wages, coupled with the pressing labor shortage suggest that a career in this industry could be a step in the right direction when looking for a start or even a change.